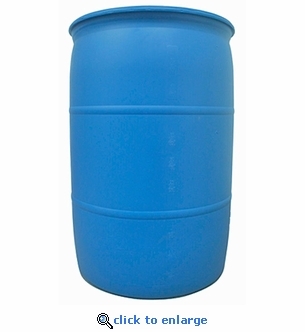 This 55 gallon emergency water storage kit comes complete with an FDA approved plastic barrel, siphon pump, bung wrench and a bottle of water preserver concentrate. The 55 gallon kit is perfect for long-term emergency water storage for homes, schools and businesses. 55 gallons of emergency water can provide a family of 4 almost a month of drinking water (2 gallons of water per day). Natural disasters like floods, tornadoes and hurricanes can contaminate a municipal water supply for weeks. Be prepared with your own supply of fresh drinking water. Shipping Note: This item is considered an oversized item by UPS. This may result in an additional charges for shipping to some addresses. You will be contacted before this item ships if their are any additional shipping charges.